This is no April Fools joke, you did in-fact read the title correctly. Samsung will be shipping their 28-inch 10-bit 4K Ultra HD monitor this month for $700 (UD590). Previously, you had to spend well over $1,000 to own a 10-bit 4K monitor. 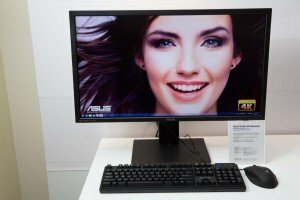 ASUS unveiled a 28-inch 4K Ultra HD monitor (PB287Q) this week at CES 2014, which is targeted toward budget-minded professionals at $799. 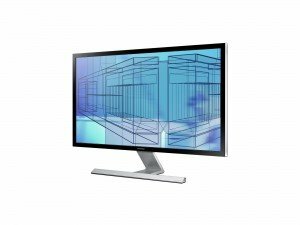 Typically, 4K Ultra High Definition monitors are priced well above $2,000, including the 31.5-inch model from ASUS. LG is bringing out a new 31-inch 4K monitor at CES 2014, dubbed “Real 4K” (31MU95). 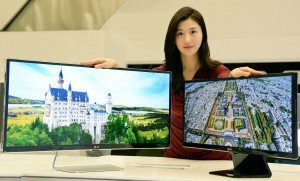 It features a DCI 4K IPS panel at 4,096 x 2,160 resolution in 19:10 ratio, a few pixels more than 4K Ultra HD (See: 4K vs. 4K Ultra HD). The new monitor also features a Thunderbolt 2 port with 20 Gbps data bandwidth, suitable for displaying 4K footage filmed with RED Epic and Scarlet cameras.